Festival of Daring Possibilities asks - What if? Big picture thinking in Bega. 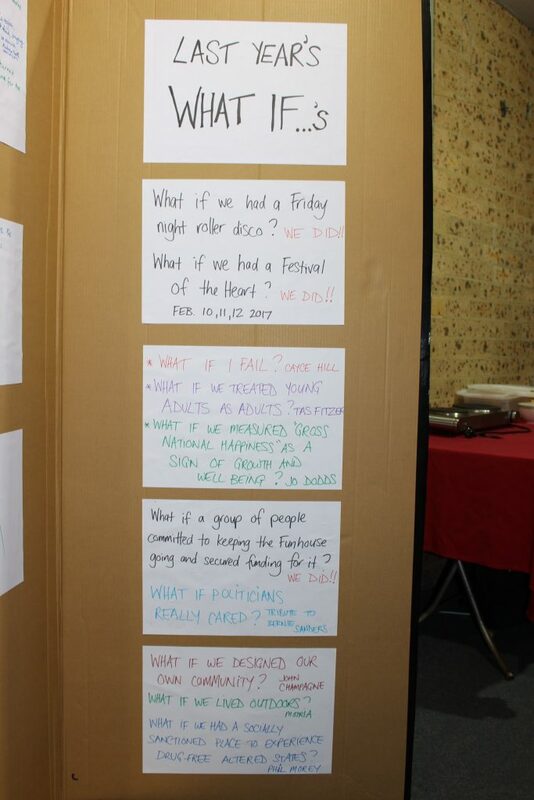 Festival of Daring Possibilities asks – What if? Big picture thinking in Bega. 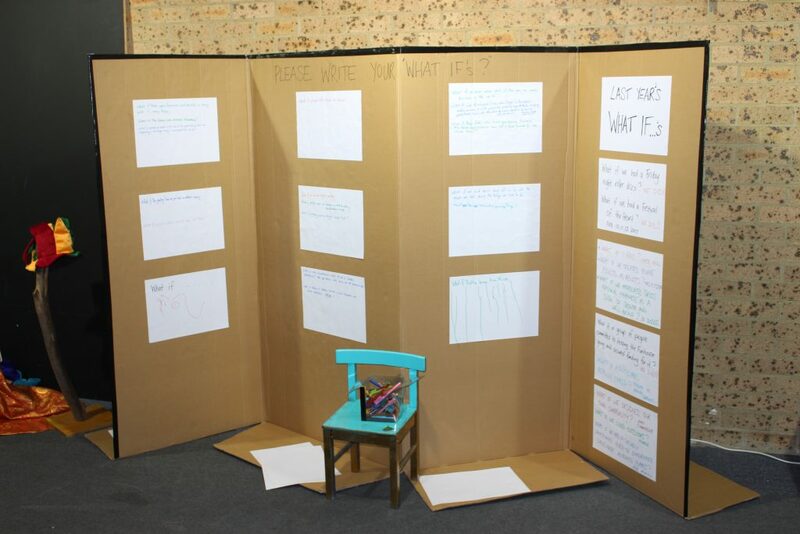 The ‘Festival of Daring Possibilities’ at the Funhouse in Bega has asked people to think big and solicited ideas that lead to new solutions and attitudes. 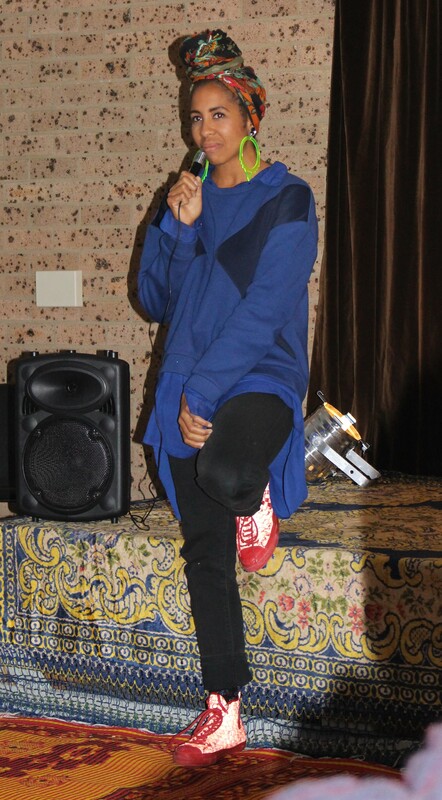 Cayce urging her audience of 30 people or more to inspire each other with their differences and unique perspectives. “We’ve stopped telling the story of who we are and why, our identity gets weaker,” Cayce said. The Festival was held as part of first birthday celebrations for the Funhouse, which over the last 12 months has become a hub for a range of artistic, sporting, social, and youth interests. This old video shop come ‘community centre’ is itself a result of the big picture thinking the ‘Festival of Daring Possibilities’ looks to encourage. “I started this place looking for a community, creating a space where not only I felt comfortable but also a place that welcomes and values strangers,” Cayce said. 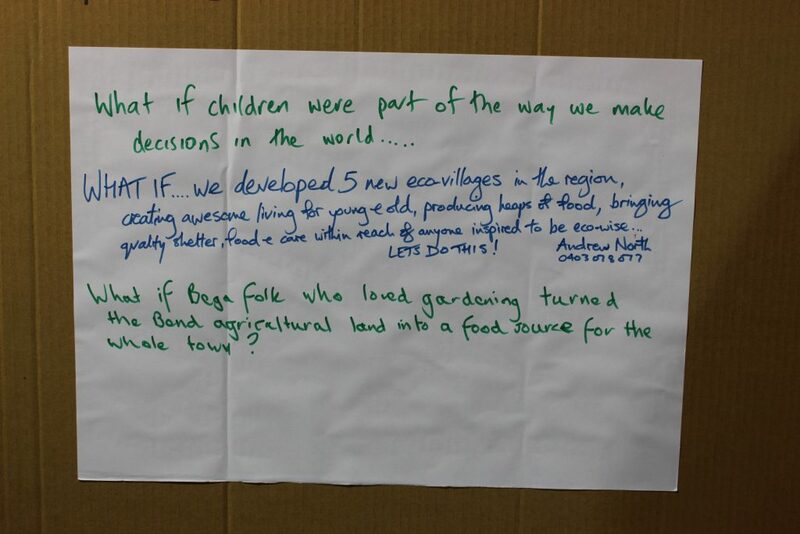 Bega Valley Shire Councillor, Jo Dodds was also one of those planting seeds in the discussion. “I love that random encounter and the challenge of finding common ground,” she said. Offering an indigenous insight was Djiringanj and Ngarigo women, Tamika Townsend, who grew up in the Bega Valley but now works in Canberra across Aboriginal employment initiatives and more broadly – reconciliation. “What if we could just start again?” Tamika pondered. 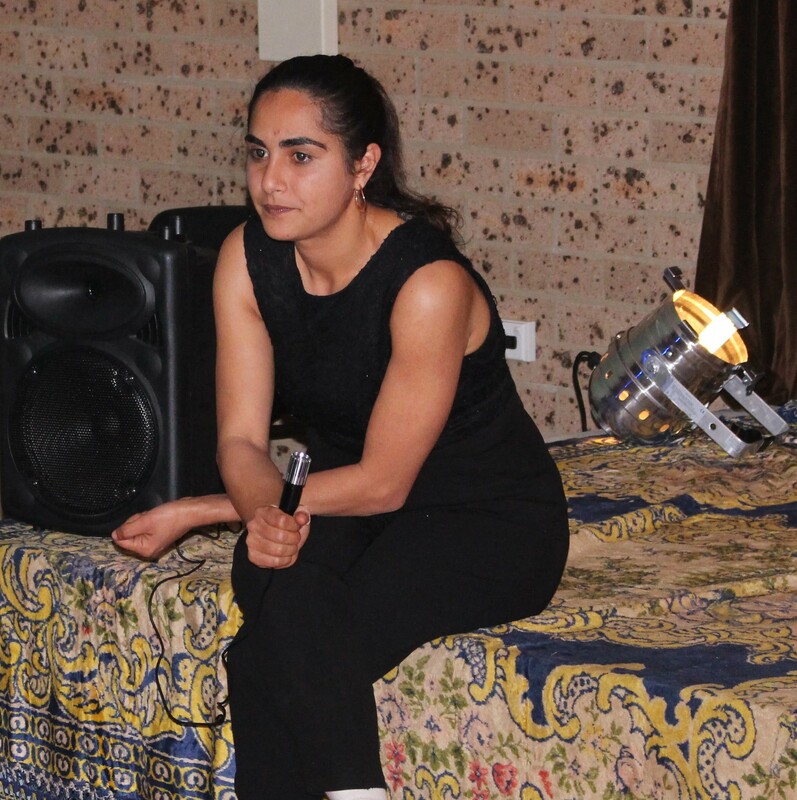 With family adding weight to Tamika’s message, Aunty Colleen Dixon spoke with strength to a captivated room about her experience growing up in Bega. She spoke of not feeling welcome in town and an ever present racist attitude across every aspect of life. “I was the eldest, and I remember walking along the river at Jellet one night with my brothers and sisters and bullets flying over our head, I just told them to get down,” Aunty Colleen said. “There is a lot of trauma in this community,” Tamika said. 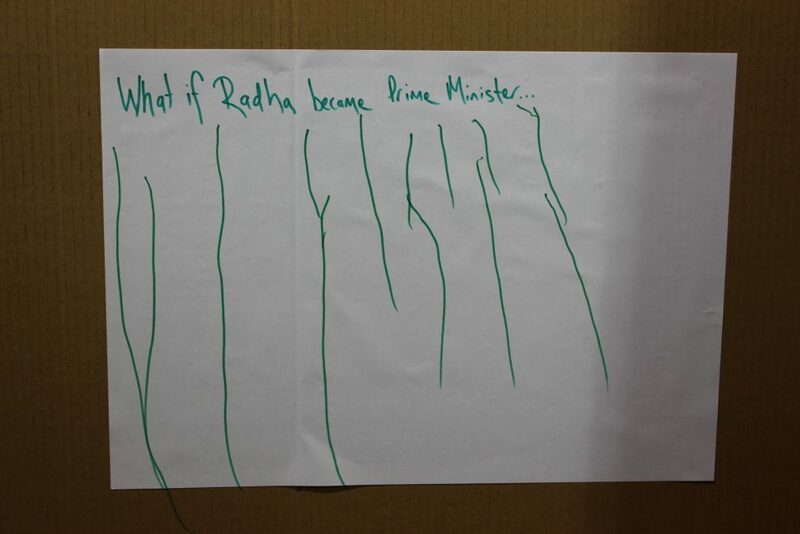 The Djiringanj Elder suggesting such a space would bring all cultures together and create opportunities for connection and understanding, and build pride and purpose in her people. Two more nights of discussion will roll out as part of the Festival of Daring Possibilities at the Funhouse – August 18 and September 15. With a dinner of curry and spices infused in the air last Saturday night, festival goers were asked to add ideas to a wall of what if’s? The wall of 'What If's?" What if we danced together everyday? ...juggling would be our national sport! Thanks to About Regional members Phil Martin, Gabrielle Powell, and Deborah Dixon for empowering local stories. 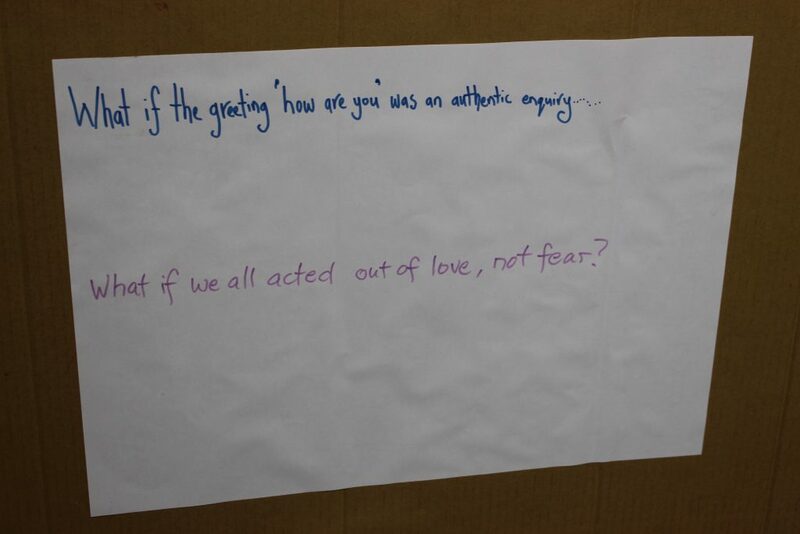 One Response to Festival of Daring Possibilities asks – What if? 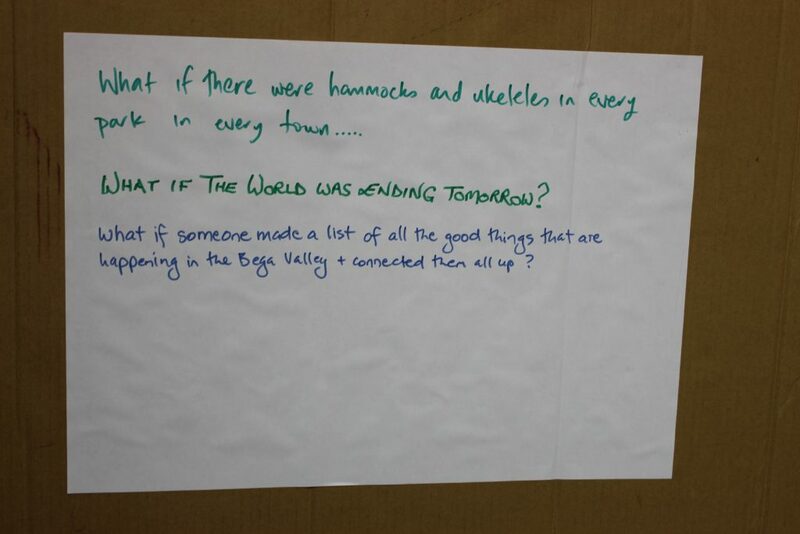 Big picture thinking in Bega. what if we all support each other regardless of creed,colour or ethnic background.